The varying shades of American Hickory add character for a unique and inviting floor. Quality engineered with a cross-grain construction for maximum strength and dimensional stability compared to solid wood flooring. Featuring Quantum Guard HP an 8-Step finish with aluminum oxide particles suspended in urethane and UV cured. Limited 5 Year Quantum Guard HP Finish Warranty. Precision engineered UltaFit Tongue and Groove System ensures a consistent uniform fit and easy installation. Can be installed on, above or below grade. Wood moldings are available to blend and enhance the floors appearance. The American Hardwoods Collection meets the FSC controlled woods standard. A pure FSC option is available for large projects. 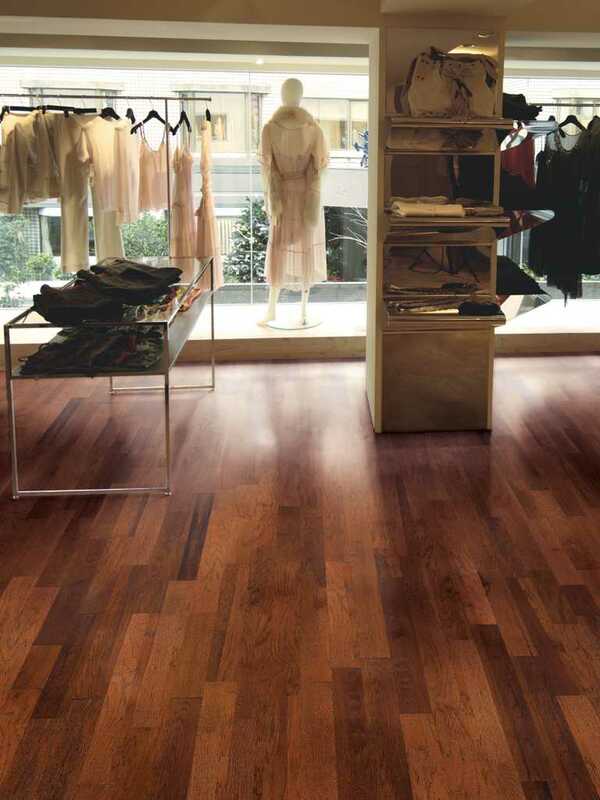 American Hickory is available in 5" width, 3/8" thickness, with a matte finish, and a micro-beveled edge. View product brochure for additional information. The varying shades of American Hickory add character for a unique and inviting floor. Quality engineered with a cross-grain construction for maximum strength and dimensional stability compared to solid wood flooring. Featuring Quantum Guard HP an 8-Step finish with aluminum oxide particles suspended in urethane and UV cured. Limited 5 Year Quantum Guard HP Finish Warranty. Precision engineered UltaFit Tongue and Groove System ensures a consistent uniform fit and easy installation. Can be installed on, above or below grade. Wood moldings are available to blend and enhance the floors appearance.The American Hardwoods Collection meets the FSC controlled woods standard. A pure FSC option is available for large projects. American Hickory is available in 5" width, 3/8" thickness, with a matte finish, and a micro-beveled edge.View product brochure for additional information.